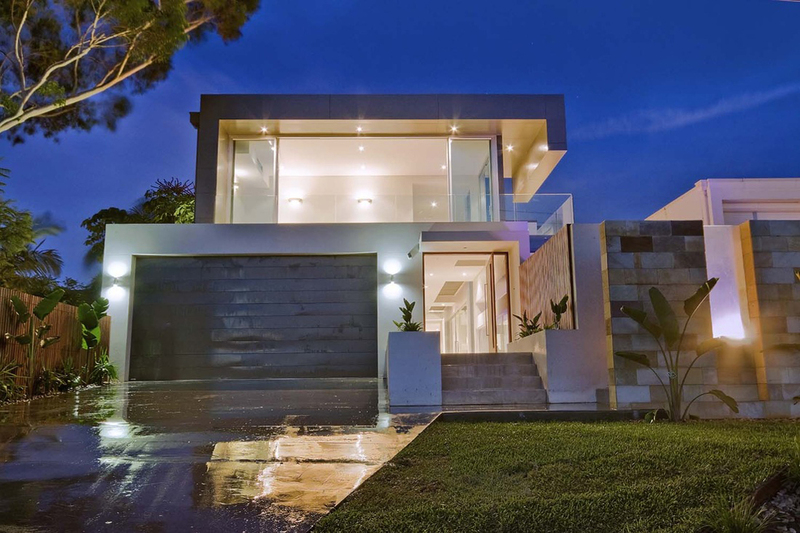 The owners wanted a house which would offer them a luxurious lifestyle and provide them with the amenities of a club at home. 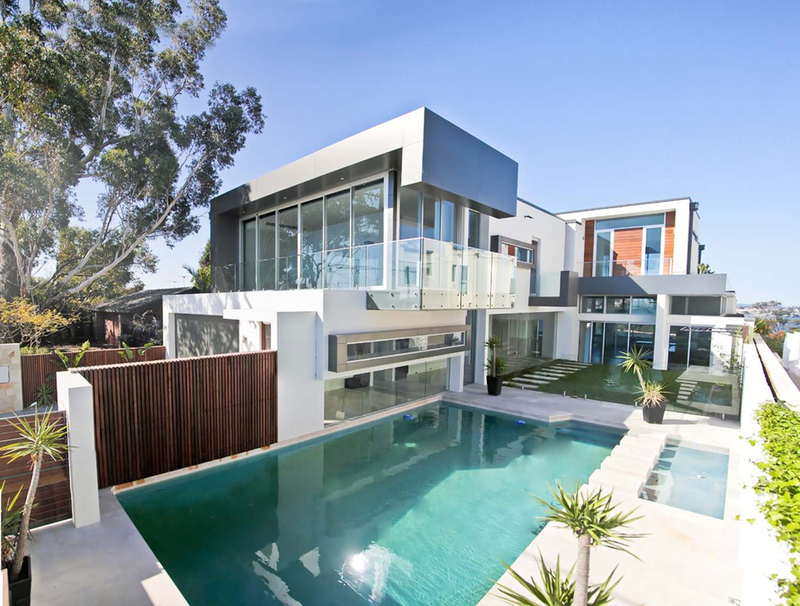 As a result of their brief we designed a 550m2 house consisting of 3 Car spaces, 4 Bedrooms, a home office, bar, home theatre, 2 living areas with entertaining balconies, a swimming pool, gymnasium, spa, BBQ area and boating facilities. 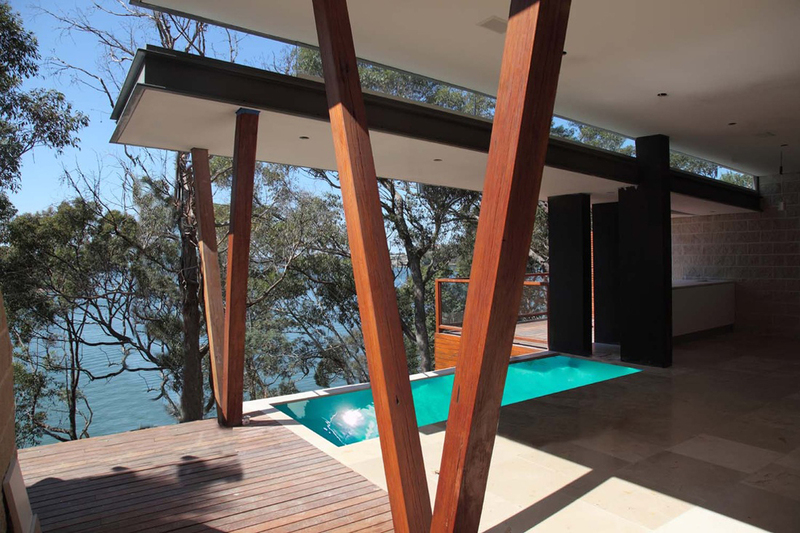 Due to the nature of the site we designed a house spanning three levels from street level to the water’s edge. The main house is situated at the highest point above the rock outcrop. A luxurious Cabana, spa, BBQ area and gymnasium all sit below leading down to the boating facilities. Each level is linked by a 5 stop inclinator. The main natural feature of this site is a rock outcrop which is listed as a heritage natural formation due to its history as a means shelter to the Australian aboriginals of the area. 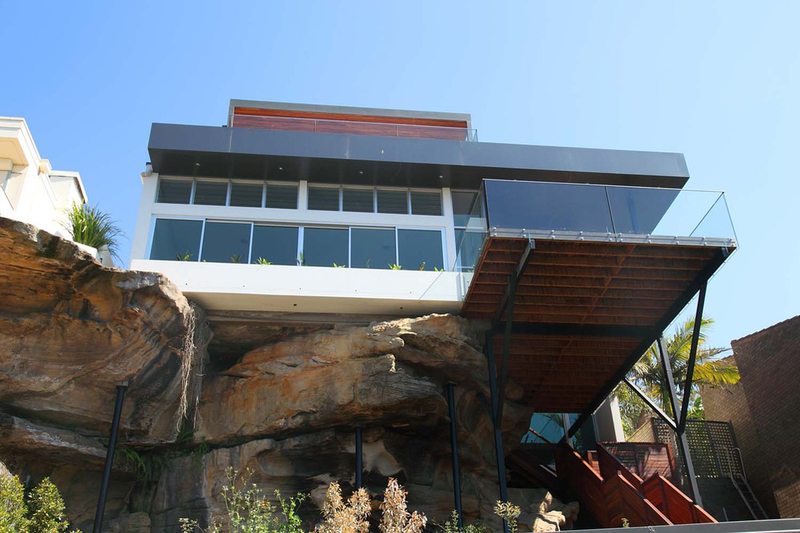 The main living areas are located over this rock in order to enjoy of the views towards the river. 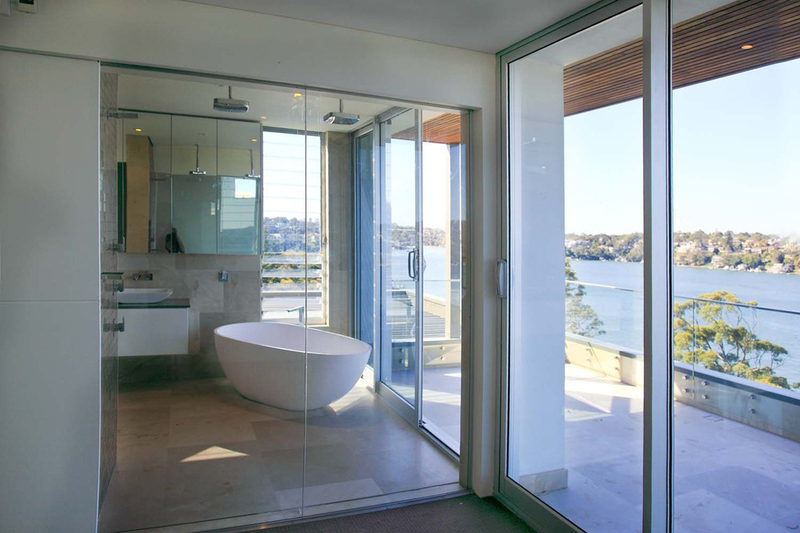 Water elements and open areas are incorporated in every part of the house. 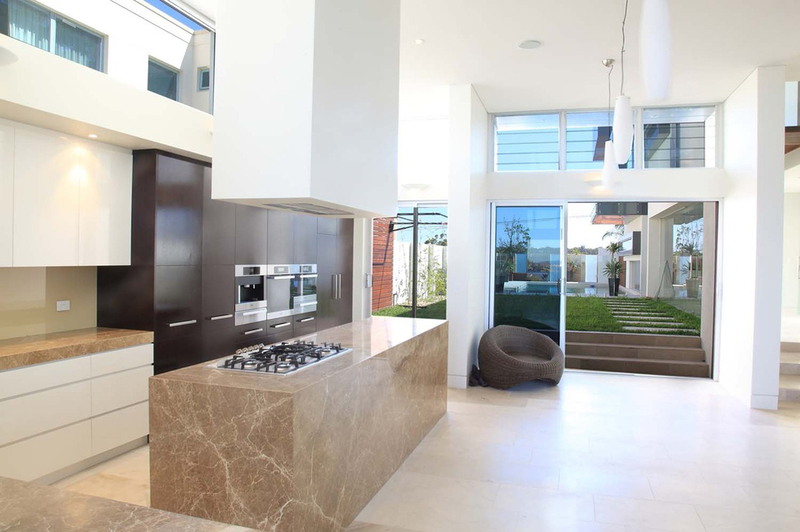 All living areas interact closely with the outside so that the natural surroundings become an extension of the interior. The volumetric concept is based on three juxtaposed cubes linked by a straight circulation axis which is repeated on Ground and First Floor with variations in size and materials. 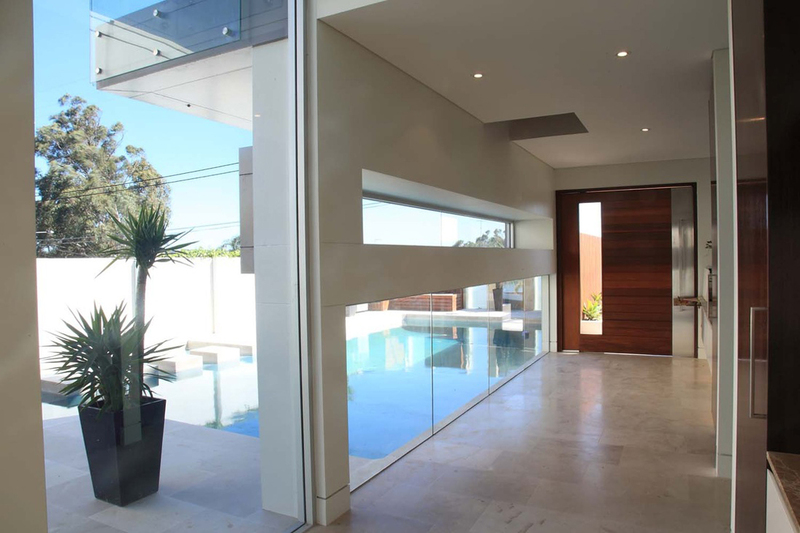 Big glass openings are used to enjoy of the views and to provide sun access to the interior. 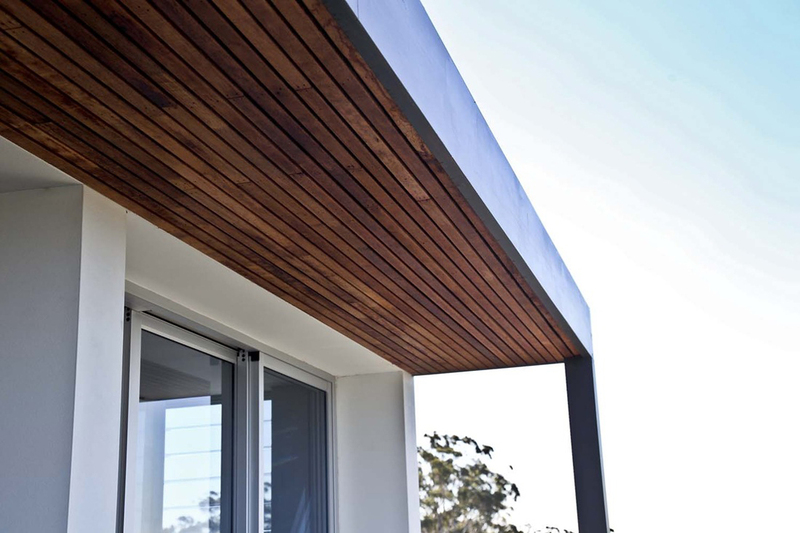 The materials were chosen based on low maintenance and durability such as concrete, natural stone, metal cladding and render and paint. Ecologically it incorporates passive solar heating techniques, the living areas floor is stone to increase sun heat storage during the winter months, 2 water recycling tanks allow for more efficient water usage,all glazing is low-e, all fixtures hold high ratings and there is a solar hot water system.